The Big Give's online fundraising campaign #ChristmasChallenge17 that we have just finished (midday 5th December) to support our Raptor Rehabilitation Programme in Bulgaria, India and South Africa has exceeded its target. The campaign, which used the hashtag #Vets4Vultures, was a nominated project for The Big Give’s Christmas Challenge and secured champion funding from The Reed Foundation. We were tasked with raising £3,000 in online donations. As donations came in, they were doubled by match funding from The Reed Foundation, Virbac UK, Vetronic Services Ltd and Kirkleatham Owl Centre. We would like to THANK them all in helping us with the campaign. To date the charity has raised £6,666, including the full £3,000 of match funding and giftaid. We would like to thank the veterinary profession for backing our efforts to conserve vultures and other birds of prey, whose numbers are declining rapidly in many parts of the world. She continued: “Our Tweet impressions for the month leading up to The Big Give were up 179.9% compared to the previous month, and, on facebook, our reach was up 151% in the week of the Big Give. Veterinary bodies such as BSAVA and companies including Nationwide Labs and Vetstream also got behind the campaign. We were thrilled that 78 vet practices clicked through to the online #Vets4Vultures support pack we created to help them spread the word to their clients. Many of them then went on to use the posts on their social media platforms. She added: “We need to raise a total of £18,000 to fully deliver on our Raptor Rehabilitation Programme so we would still be very grateful for donations and for colleagues to share our social media posts to help us reach more potential donors. 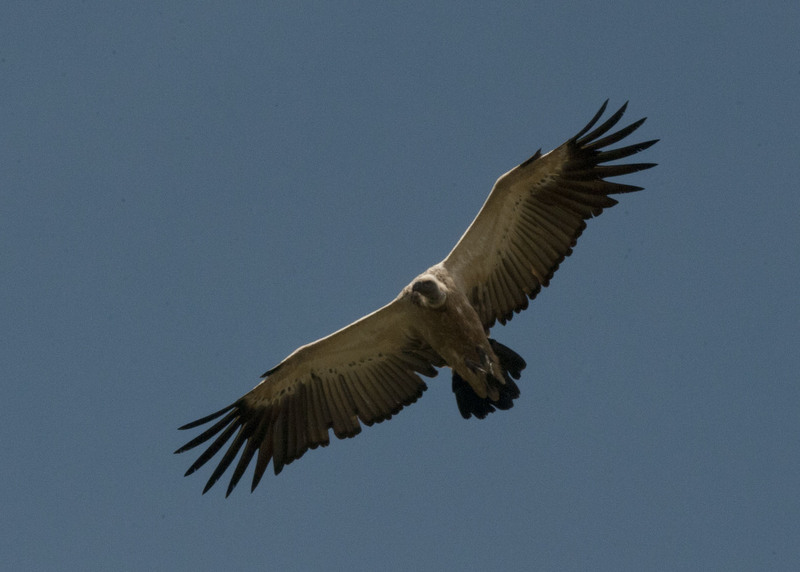 Vulture numbers are plummeting in many parts of the world and our efforts could significantly increase their chance of survival in some countries." Vet Stefan Harsch and vet nurse Matt Rendle will be on their way to India in January to help the Jivdaya Charitable Trust with their avian A&E they set up during the International Kite Festival. Bird of prey expert, Neil Forbes, will be heading out to South Africa to run three courses aimed at training rehabilitators and vets in vulture orthopedics. Please continue to support us by donating here.